Thai massages use knowledge of more than 2500 years old. These traditional massages are completely differnet from European massages. Thai massages heal the body through pressure on energy points. It is based on theory of energetic flows –meridian lines, through which human energy flows. This massage is suitable for everyone in need of deep relaxation, stress release, more flexibility and fitness. 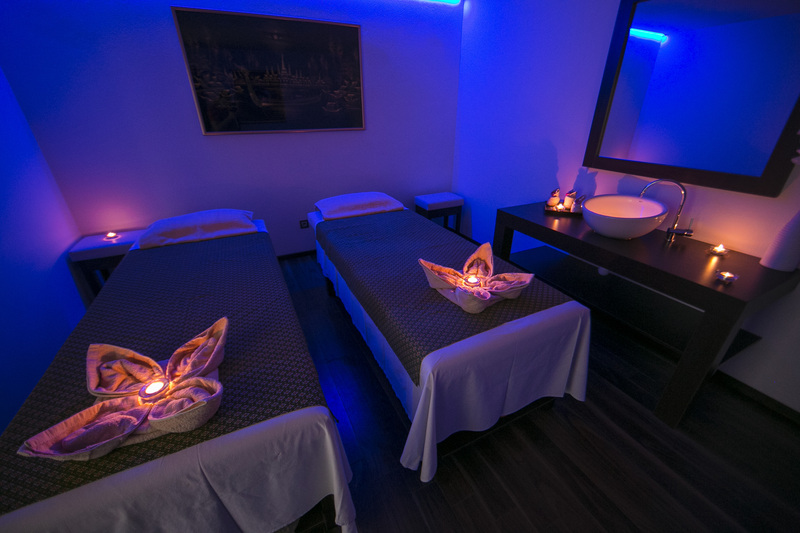 Thai massage stimulates blood circulation, reduces back pain, removes energetic blockages, improves detoxication of teh body, relieves from pain, stress and stifness of muscles and joints. It helps to reduce feelings of exhaustion, tension and increases flexibility of body. Just as in yoga excercises, thai massages increase flexibilty, massage internal organs, oxygenate the blood and calm your mind. This is however done for you by the masseuse, and your mind and body can relax with no effort.